Mariah & Sean’s wedding was in Muir beach. It was a surprisingly sunny day for the coast. 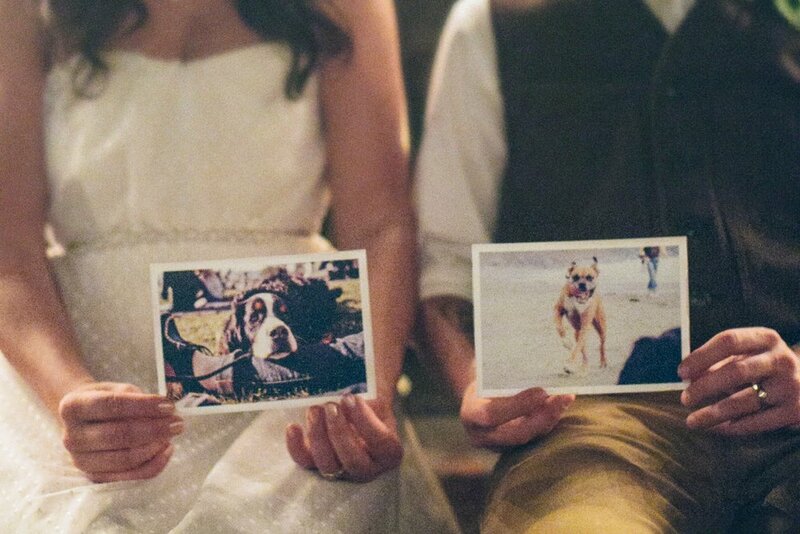 Their friend Zechariah married them at the Muir beach overlook. Such a gorgeous spot! It’s one of the first places Sean took Mariah on a motorcycle trip when she came to visit him from Boulder. I love the story of how these two met. Mariah’s dog Cooper ran from the car after a 13 hour drive from Minneapolis to Boulder, chasing Sean’s dog into his hotel room…Mariah moved to CA to be with Sean 5 months later. They enjoyed traveling & exploring Nor Cal. Every weekend they found somewhere new. Every off-the-beaten-trail bakery, cheese farm, farm stand, diner, Restaurant, winery, b&b, hiking trail, and campsite they could find. It’s sweet how much love they both have for Nor Cal. Their adventures here reminds me of all the road trips Tim & I have gone on and wish we could go on every weekend. In Sean’s own words, “being a kid from the flatlands of florida and central michigan, the diverse and epic landscape floored me. I bought a motorcycle and spent the 11 years exploring the pacific northwest and all it has to offer.” I bet he knows some secret spots I don’t! Mariah & her gals got ready at The Pelican Inn, where their reception was. And enjoyed a moscow mule in matching copper mugs. I had just photographed the same mugs at Magpie & Rye. The Pelican Inn is a cozy spot, with old English country charm. It’s a great place to grab a drink, walking distance to the beach or after a hike in the woods. It is also where Sean & Mariah had their first date after she moved to SF. The beautiful rings are Rebecca Overmann, an amazing jewelry designer in SF who works with recycled gold and raw diamonds. They wanted to make sure that their rings were conflict-free and artisan-made, so Rebecca fit the bill perfectly! I love the different warm colors of the stones. It reminds me of the beautiful palette they put together for their wedding party. The backlit sun exaggerated the colors from soft pink, peach, mustard, to rust. Soo pretty, so fall! 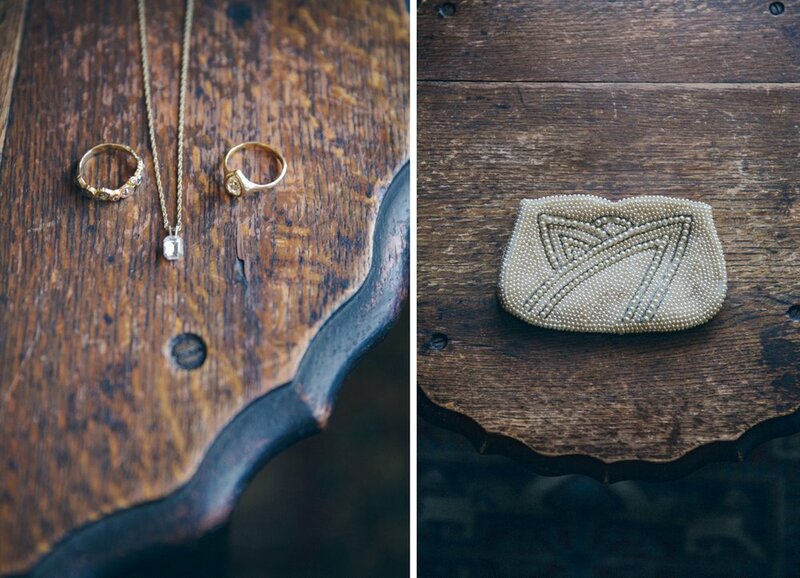 The lovely beaded vintage clutch was Mariah’s mother’s, and the rustic wood box was made by her dad for their wine ceremony. Mariah wore a vintage Badgley Mischka dress for the ceremony & a vintage dotted swiss dress from the 50′s for dancing. Her succulent & air plant bouquet was made by Atelier Joya. They now live in Minneapolis, where Mariah does marketing for Caring Bridge and also teaches yoga & meditation to those who suffer from PTSD and TBI. Sean is a freelance Creative Director & photographer. 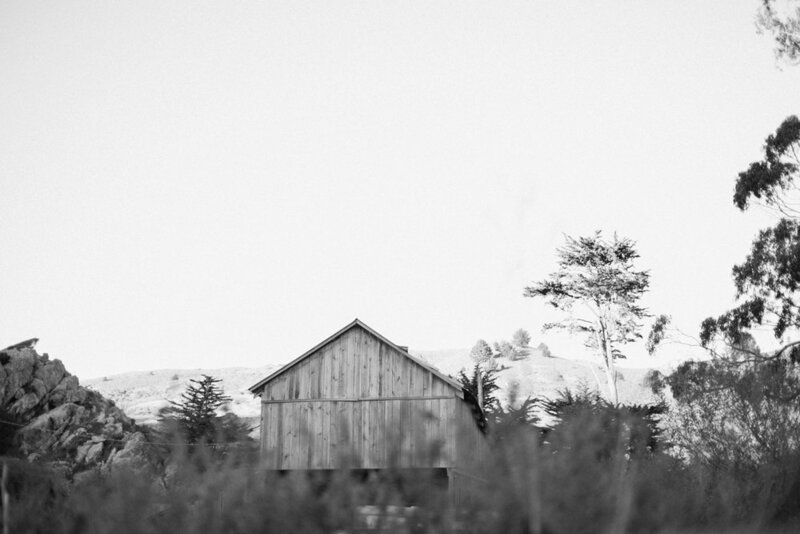 Love his photos of Scribe winery, soo good! Mariah & Sean intend to move back to Nor Cal, open a bed & breakfast, and never leave. That sounds dreamy! I really enjoyed being a part of this celebration, seeing the love they have for each other & for Cali was a beautiful experience.